ชุดตัวต้านทาน ประกอบไปด้วยแม็กเนติกสตาร์ทอยู่ในชุดเดียวกัน ระบายความร้อนด้วยน้ำมัน สำหรับมอเตอร์สลิปริง 3 เฟส ทั้งแรงดันต่ำ และแรงดันสูง ขนาดเล็กจนถึงขนาด 2000 kW และแรงดันไฟฟ้าได้ถึง 2000 โวล์ท. ตัวต้านทานชนิดเหล็กหล่อ ใช้สำหรับงานกระแสสูงมากๆ ในวงการวิศวกรรมไฟฟ้า VSD drive วงจรป้องการกราว์ด หรือสำหรับการเริ่มหมุน มอเตอร์สลิปริง หรือบางครั้งเรียกว่า วาลว์โรเตอร์มอเตอร์ สมารถนำไปประยุกต์ใช้งานทั้งการต่อแบบอนุกรม หรือแบบขนาน. GINO เป้นหนึ่งในดรงงาน และเป็นผู้นำในการผลิตตัวต้านทาน ชนิดเหล็กหล่อ มาเป็นเวลาหลายสิบปี และเป็นผู้ผลิตสำหรับ AEG, BBC, ABB และบริษัทชั้นนำทั่วโลกอื่นๆ รวมกระทั่งถึงตัวต้านทานทุกชนิดที่เป็นของบริษัท ซีเมนส์ สามารถผลิตเพื่อทดแทนของเดินได้ทุกรุ่น เพราะ GINO คือบริษัทผู้ผลิตหลักให้แก่บริษัท SIEMENS เดิมนั่นเอง. Braking resistors are used for lifting and driving gears, elevator drives, conveyors, drives on manipulators as well as all drives where fast speed changes are to be controlled and the excess energy is not consumed by the loads or losses of the machine. 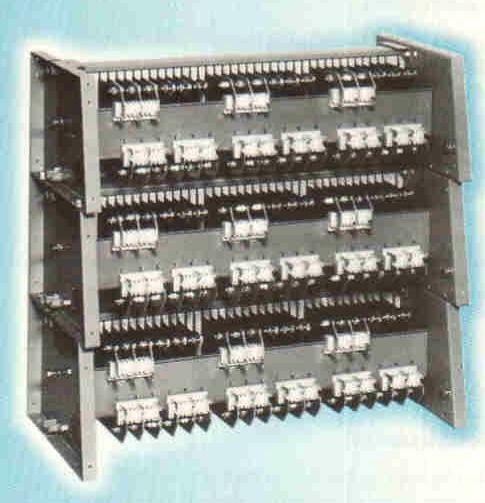 Resistors for smaller ratings can be installed together with the other equipment in the switchgear unit. Due to the heat formation, resistors for larger ratings often have their own casing and are installed separately. The system is designed to test the accumulators. To guarantee the unrestricted functionality, the accumulators must be tested at specific intervals using a defined discharge current for the specified time. Using our fully automated testing process, a conclusive proof of the condition of the accumulator can be furnished. 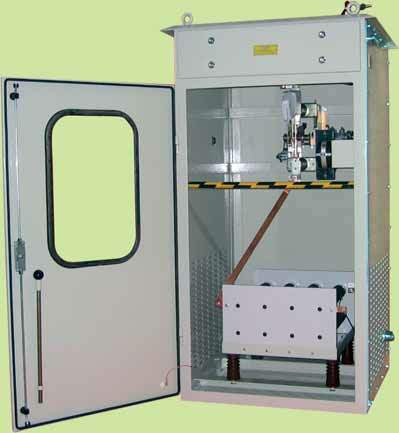 The test is conducted at an ambient temperature using almost constant discharge current until the preset cut-off discharge voltage is achieved. 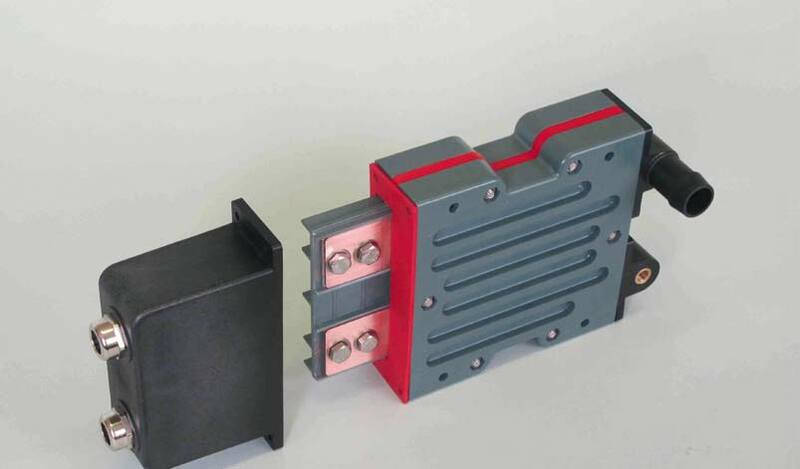 In the process, the discharge current is built-up slowly. 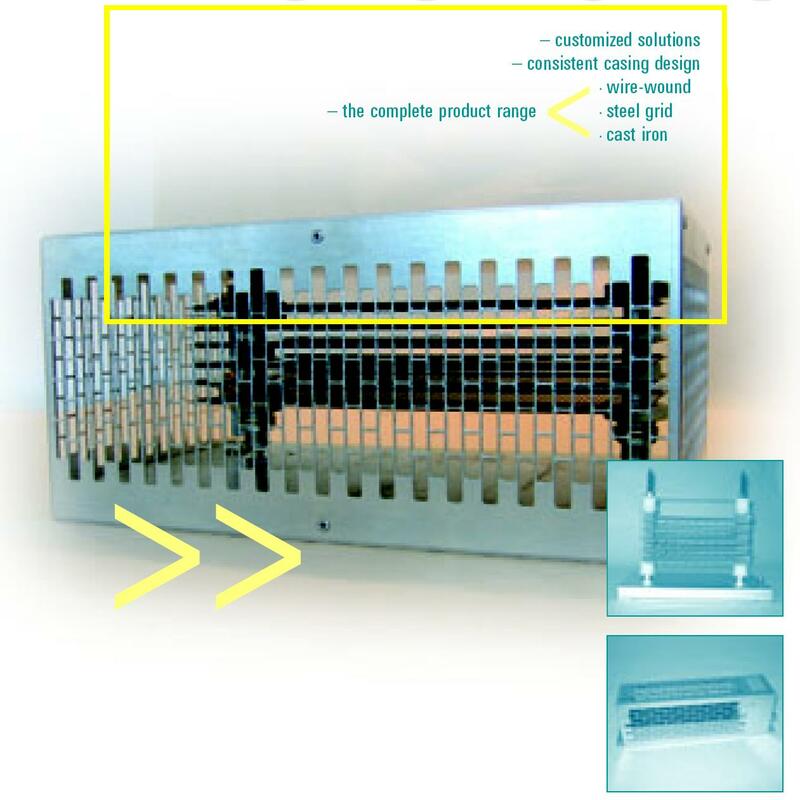 Thereafter, our system automatically disconnects the load from the accumulator to prevent damages resulting from the deep discharge. If the cut-off discharge voltage is achieved before the set time, the discharge resistor is likewise disconnected from the accumulator and an error message is displayed. 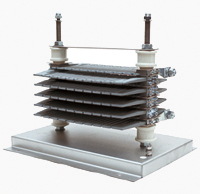 Since during the discharging process, the discharge current decreases with the accumulator’s voltage, the resistance value must be readjusted. This process runs automatically in our product. Power electronics, which undergo a rapid development, are used in all technical areas today. Besides their benefits of quick controllability and broad application range, some drawbacks are likewise involved. Drives with a variable speed generate sinusoidal interferences. Harmonic waves affect the quality of the power system and compromise its safety. The cost factor due to the occurring reactive power should likewise not be neglected. The increased supply of renewable energy from wind turbines and solar power generators causes fluctuations in the active and reactive power of electrical systems that in turn affect the quality and reliability of the power system. The method of neutral point connection in three-phase systems determines the power frequency voltage increase on non-defective phases in case of a ground fault.